This week's featured interview is Patti Von Niessen, executive director or Summer Jam West. This family friendly festival features local artists, local live music, food, craft artisans, members of the Ohio Chalk Art Guild, a children's art zone, and more! The mission of Summer Jam West is to bring joy, music and art to the Hilltop, bringing family, friends and neighbors together. Summer Jam West 2017 is July 8 from 11am - 7pm at Westgate Park, 455 S. Westgate Ave, 43204. We met Patti at the new permanent art work by Columbus artist, Roger J. Williams, that shares the name with this year's festival theme: Movin' & Groovin.' 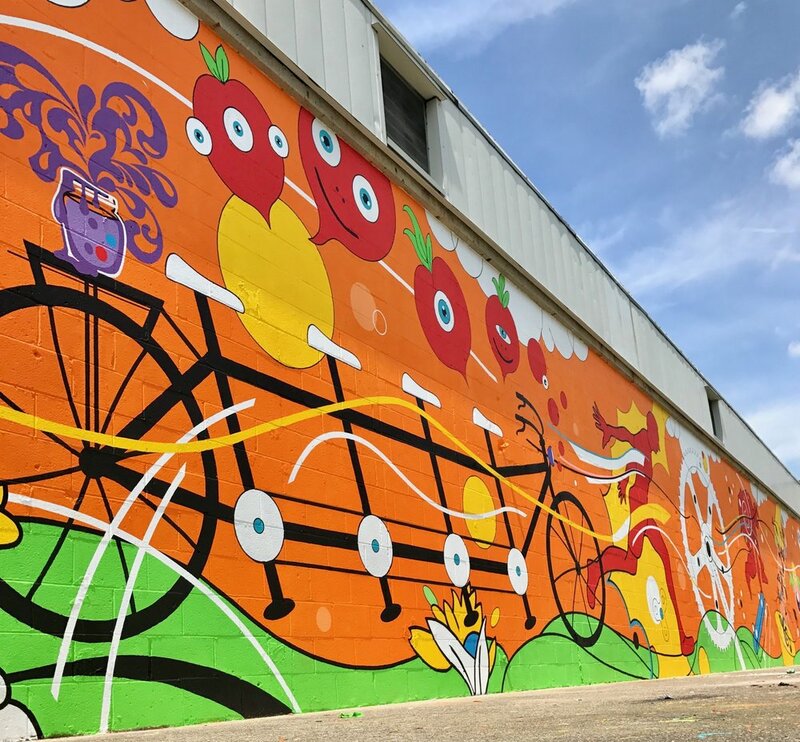 The 95' long mural runs along the Camp Chase Multi-Use Trail, and has features the Summer Jam West team were looking for: colour, pop art, movement and appeal! Prior to the Summer Jam West festival, there will be a mini art tour and mural dedication on Wednesday June 28.